Everybody likes a little color these days, us included, so when I finally located some paint bucks from proven fast gaining lines I had to buy them. 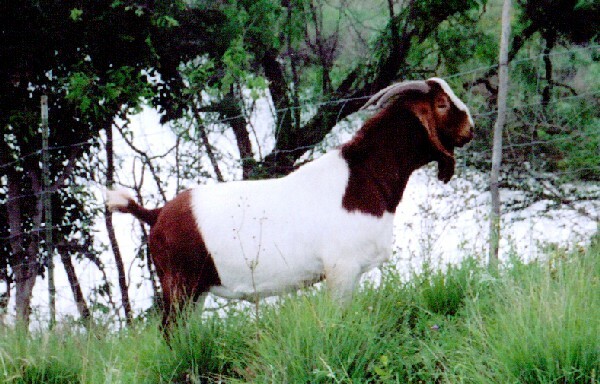 It was only after I got this buck and our other paint buck, Great Balls of Fire II, back to the ranch and unloaded them that I realized their color patterns are nearly identical.. They both have red on their scrotums, thus the choice of names, and since they look like twins I called them I and II. This buck came from Marvin Shurley and is a Sunny Acres Aaron son. Aaron is one of the top sires every year at several of the performance tests, and we look forward to seeing how this buck's offspring perform. 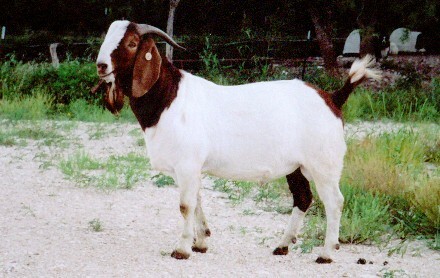 His pedigree includes several famous goats.